Daigoji is a huge temple complex consisting of the Garan "main complex", Sanboin Garden, and Reihokan Museum. A visit to Daigoji is a good half-day trip out of the city. The temple complex covers a large area, and if you plan to see the Kami-Daigo part which is about an hour hike to the top of the mountain, you should consider bringing a picnic lunch and a plenty to drink. 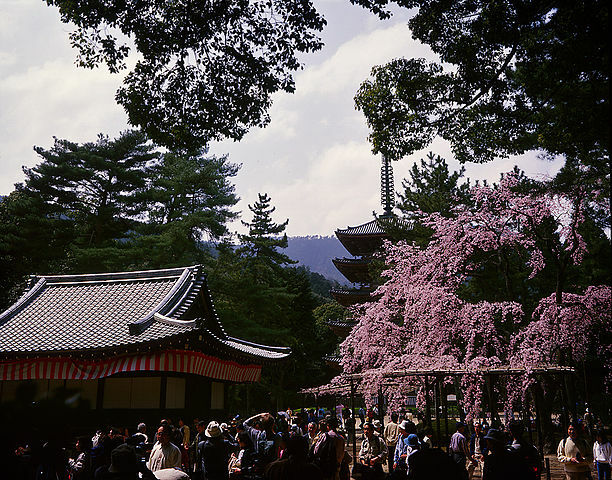 The temple was initially established high atop Mount Daigo in 874 after a Buddhist monk named Shobo built a hermitage there, and discovered what he believed was a sacred well. Daigoji temple, located southeast of Kyoto along the road that leads to Nara, has been an important stopping place for pilgrims and other travelers since the tenth century. The size and position of the temple, slightly removed from the city, creates a more peaceful, serene setting. 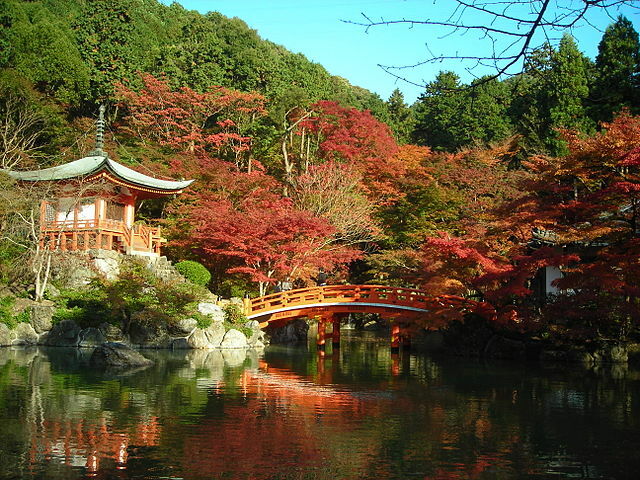 Daigoji Temple is famous for being one of Kyoto's best places to view cherry blossoms in the spring and the leaves in the fall. 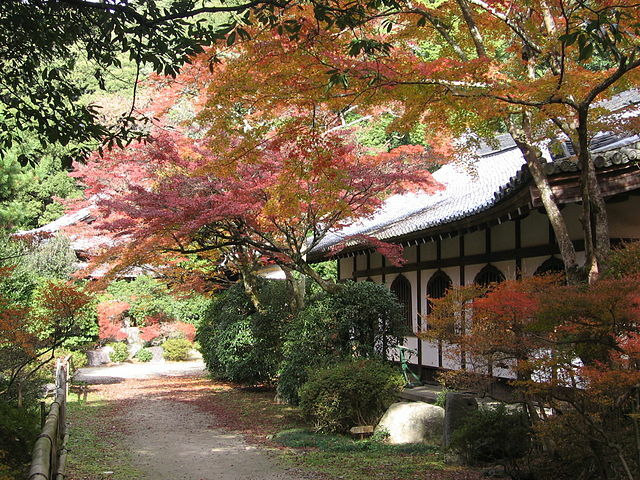 Although the main temple complex is always worth visiting, those visiting in the autumn should consider paying the extra fee to see the Sanboin garden, as it becomes especially beautiful with the vivid colors of the leaves. As a registered World Heritage Site, the temple has a lot of history, with the oldest remaining structure being a 38 meter tall, five-story pagoda built in 951. Visiting hours and fees for upper grounds "Kami Daigo" slightly differ from the lower grounds "Sanboin and Reihokan Museum". Bus: The Keihan Bus called "Yamashina Express" departs directly from Kyoto Station near the Hachijo exit to Daigoji bus stop "takes about 30 minutes". Train: From Kyoto Station, take a JR train to Yamashina Station "takes 5 minutes", and transfer to the train on the Tozai Subway Line bound for Daigo Subway Station "takes 8 minutes". 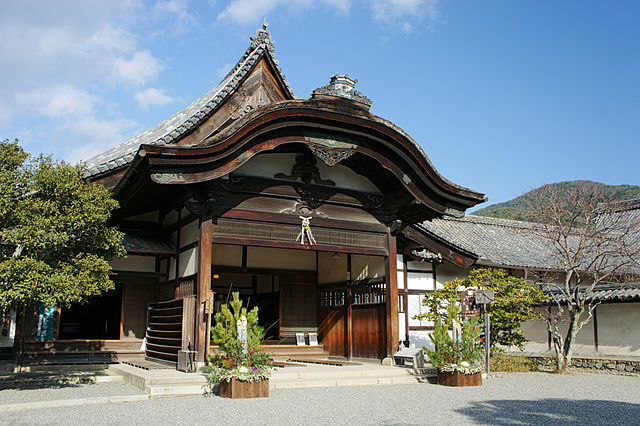 ​Daigoji Temple is located a 15 minutes’ walk or short bus ride by community bus number 4.